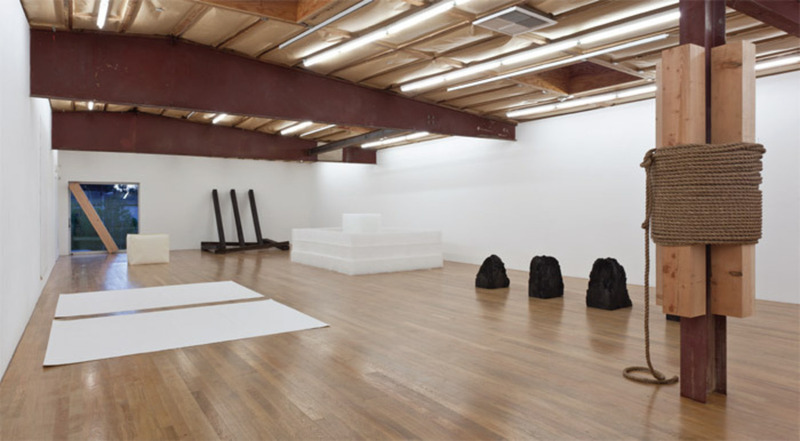 View of “Requiem for the Sun: The Art of Mono-ha,” 2012. 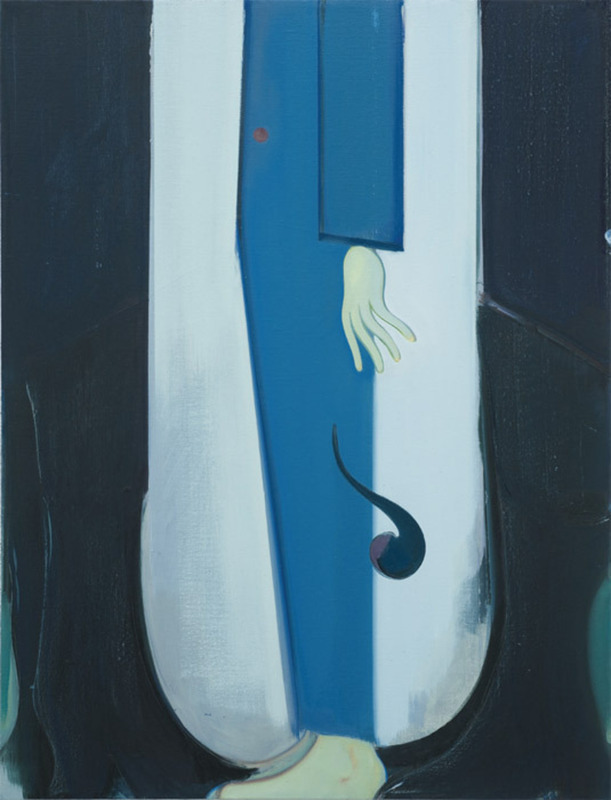 Sanya Kantarovsky, The Man with the Black Coat, 2012, oil and watercolor on linen, 34 x 26". Mitchell Syrop, Bifurcated Life (detail), 2011, twenty-eight framed color ink-jet prints, each 22 x 15 1/2".